Batman recruited He-Man to join the battle against Superman’s dictatorship, so why is Prince Adam battling him in the Oracle’s lair? 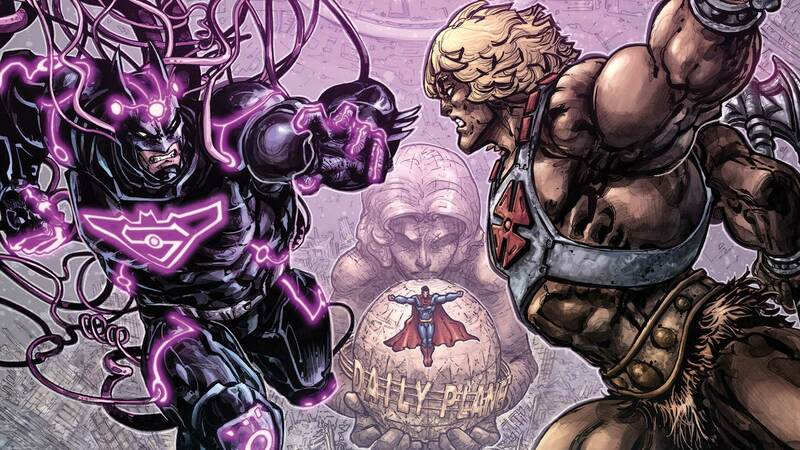 Has Skeletor’s influence helped Superman breach new territory? Things seem dire on Earth, but Eternia is also facing a major threat—from Darkseid!